A softer, more comfortable reline for the patient. Ethyl methacrylate acrylic resin gives a long lasting, non-irritating chairside reline in less than 30 minutes. 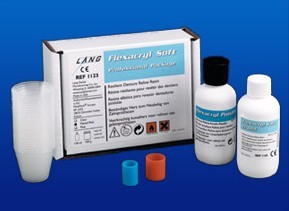 Langs most durable soft reline.